That being said, I personally find the stock market to be fascinating and I like playing around with it. We allocate a very small percent of our assets to purchasing individual stocks using low-fee or no-fee brokers. Robinhood allows you to purchase individual shares of most companies in realtime for no commissions. Robinhood also allows you to set stop loss, limit buys and limit sell orders. If you use my Robinhood link, you will get one free share of stock, and so will I. What have you got to lose? This article will begin a periodic series on the individual stocks in which I have invested. These articles are not a recommendation that you purchase the stock, but rather an indication of why I purchased it, how it has performed, and what I plan to do with it. In the United States, we offer TV and wireless nationwide, plus a large high-speed internet footprint. We offer a wide choice of internet speeds to meet customers’ needs. With our 100% fiber network, customers in 67 markets can download a 90-minute HD movie in less than 36 seconds, a 30-minute TV episode in 3 seconds and 25 songs in 1 second¹. We plan to expand these speeds to at least 75 metros in total. We also offer pay TV in 11 Latin American countries. We offer solutions that help businesses in every industry serve their customers better. We deliver advanced services to millions of businesses on 6 continents. That includes nearly all of the Fortune 1000 as well as neighborhood businesses across the United States. Our high-speed mobile internet network covers more than 400 million people and businesses across the U.S. and Mexico. We also wirelessly connect cars, machines, shipping containers and more. It's all part of our leadership in what’s called the Internet of Things. Speaking historically, AT&T is "the phone company" that got its start when Alexander Graham Bell invented the telephone. It has gone through several rounds of break-ups and consolidations but today offers a variety of telecommunications products. I purchased two shares on November 21, 2016. My purchase price was $37.67. The current price, as of 12:49 CST, on 1/29/18 is $37.49. I do not have a stop-loss set for this stock. I don't think AT&T is going anywhere so I'm not afraid of losing a lot of money on this. While the price may go up and down, the business itself is profitable and it is paying a good dividend. I received $.49 per share on May 1, August 1, November 1 and will receive a $0.50 dividend on February 1. My dividends plus the current cost of the stock total $38.47; I purchased the share for $37.67, giving me a current gain of $0.80 or 2.1% over 14 months. By comparison, the S&P has risen about 35% since then. Dividend Value Builder: "T is a great addition to any large diversified portfolio. However, it should be viewed differently than in the past. I’m afraid the long term risk of a dividend cut is higher than most investors perceive." The Money Madam at Seeking Alpha: "AT&T is a good pick for 2018"
Stone Fox Capital at Seeking Alpha: " Ultimately, the highly competitive domestic wireless market and cable television markets limit any material upside for the stock. Investors in AT&T will get to enjoy the large 5% dividend yield, but not much else." Discount Fountain at Seeking Alpha: "[M] view is that AT&T will continue to be a strong long-term investment going forward. The stock pays a very attractive yield, its core business remains strong, and the implications surrounding the ongoing Time Warner deal appear to be causing irrational avoidance of this stock, leading to quite a good buying opportunity." Brian Bollinger (10/26/16): "However, my preference is to watch major transformations from the sideline for a while. AT&T has a lot of new businesses to digest and optimize between DirecTV and Time Warner. The media industry could certainly evolve the way AT&T is expecting (and in part trying to force with its deals), but there are plenty of other risks involved as well. Certainly no one can forget AOL’s disastrous merger with Time Warner. For now, I prefer to stick with other high dividend stocks in our Conservative Retirees dividend stock portfolio. " Jason Feiber (11/12/17): "AT&T Inc. (T) is a high-quality business with a tremendous record for paying shareholders a huge and growing dividend. Their ability to continue doing that could very well improve moving forward, yet the stock’s recent price action apparently discounts much of this. But short-term volatility is often a long-term opportunity, and this stock has the potential for 14% upside on top of a market-crushing yield of almost 6%. If you like your dividends big, and you want them to get bigger every year, this dividend growth stock should be on your radar." I purchased AT&T stock because I was looking for a company that paid good dividends and that would be around for the long haul. I plan to maintain my position into the indefinite future, though if the price drops below $37.00 in the next few months, I may buy another share. A couple of days after I wrote most of this article, AT&T released their fourth quarter earnings per share. While the expected earnings per share were $0.65 per share, the actual earnings per share were $0.78, and as a result, share price rose $1.19 in after hours trading. One common piece of advice given to those planning for retirement is to delay taking your Social Security benefit, as each year you delay increases the benefit. So, is that good advice? The first part of answering that question is to determine whether or not you NEED to take those benefits at the earliest possible moment. In other words, if you have been laid off or have become disabled and have no other means of support, then no, you should not delay taking your benefits. Rather you need to learn to live within the means provided by the benefits you have. Social Security retirement benefits can be claimed as early as age 62; however, the amount you receive is less than if you retired at your normal retirement age (for me, 67) and, if you continue working and earn over $16,920.00 your benefits will be reduced by $1 for each $2 over that amount. In short, unless you are talking a low-wage job or very part-time work, it is probably not worth it to take your Social Security before your full retirement age unless you really are retired. But what if you are retired (or want to be)? 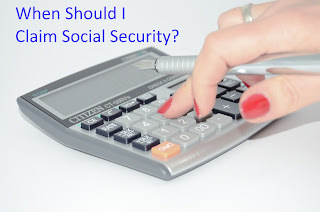 You are entitled to take your Social Security benefit at 62 but the benefit amount is reduced. For example, my husband's benefit would be about $3800 per year less if he took his benefit at 62 as opposed to 66. Assuming we did not need the money to make ends meet, and assuming he was earning less than $16,920 per year, he would collect over $58,000 between 62 and 66. According to this calculator if he deposited his monthly benefit in an account that earned 2% per year, by the time he reached his normal retirement age of 66, he would have about $69,000. If he no longer got interest on that money (trying to make the math easy) but withdrew $3,800 per year thereafter (the amount by which his check was reduced due to taking it early) it would take about 18 years (or until he was 84) for that account to be down to nothing. If he died before that, he clearly came out ahead taking the benefits early. One thing many people do not realize is that Social Security provides benefits to minor children and to disabled adult children of retirees. When my husband is 62, he will have a daughter who is 14 and a disabled son. There are online calculators, generally available for a fee, that will help you estimate what happens under various scenarios and if your family is anything but two wage earners who plan to take their own benefits at full retirement age, I recommend trying one of them (nope, no links at this time--no affiliate agreement either). The calculator I used showed that if my husband "retired" at 62 but kept his full time middle-income job, he would reduce his yearly benefit by about $3800 per year, as noted above; however, he personally would not collect anything, because of the earnings deduction--taking away $1 for every $2 income over $16,920. 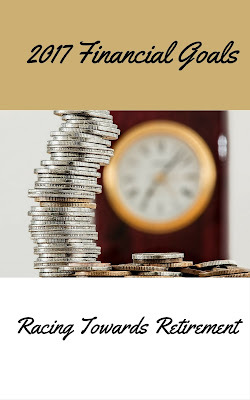 For us, the advantage to him "retiring" at 62, but continuing to work, would be that once he starts taking his benefits, my son and daughter would be entitled to benefits and I would be eligible for spousal benefits to care for kids (but those too are subject to the earning deduction). In short, in the years between my husband's early "retirement" and his full retirement date, we would collect over $79,000 from Social Security for the kids. Now, my son is currently receiving Social Security Disability benefits based on his own work record so if he took these benefits, he'd lose his own, so the total gain to our family is closer to $40,000. Using the same calculator as above, adding 2% interest per year, means we'd have about $42,500 by the time he retired, or about eleven years worth of the difference between what he would get at 66 vs 62. Once you reach your regular retirement age (66 for my husband, 67 for me), there is no reduction in benefits if you continue to work. Again, the first question is whether you need those benefits in order to eat regularly. If not, if delaying them is an option, then it is a math question. Let's say I am trying to decide whether I should take my benefits at 67 or at 70. Social Security estimates my benefits at 67 to be $1855 per month and my benefits at 70 to be $2329 per month. So, what's the math? If I earn 3% per year on my benefits for three years, at the end of three years, when I turn 70, I'll have $69,787.23. However, I'll be getting $474 less per month than I would had I wanted until 70. To make the math easy, I'll assume no return on the $69,787.23 after I reach age 70, and divide it by $474 to find out how many months until I break even. The answer is that it will take me 12.26 years to break even, or until I am 82. Tack on a little interest and the break-even point extends out even further. It's too bad none of us have a crystal ball; if we did the answer to this question would be simple math problem--which method will give me the most money over my lifetime? The system is designed to pay the average person with an average lifespan the same amount of money whether they take Social Security early or late. While a diagnosis may tell you that you are likely to be one who dies early, those who die late often surprise themselves. Unless there are dependents involved, there seems to be little reason to take Social Security before your normal retirement age, if you are still working a full time job. Your benefits are reduced because you took them early but you collect only a portion of the benefits to which you are entitled because your paycheck reduces your benefits. My husband and I are going to go and talk to Social Security and get their official answers about what will happen if my husband takes Social Security next year. If the information we have now is correct, and our "break-even" point is when my husband is 73, we will probably not claim anything at that time--hopefully at 73 he still has quite a few years left. On the other hand, with 82 as the break-even point between taken benefits on time vs late, I am inclined to take them on time . Yes, there is a decent chance of outliving the break-even point, but death at or before 82 isn't rare. Also, I've read that it is normal to spend "a lot" on entertainment, travel and home improvements early in retirement, and then, in your late seventies and early eighties, to spend relatively little as your energy levels decline and you spend more time at home. Then in your late eighties and beyond, health care costs increase. In other words, taking the money early allows you to spend it while you can still get around. Determining when to take Social Security is a personal decision that should be made after considering your options, your lifestyle and your expected lifespan. DAVID BACH has helped millions of couples plan for a future they love. And now, completely updated and revised, Smart Couples Finish Rich, America’s favorite money book, is back! You’ll discover the latest techniques to live a life as a couple, where your values align and your money decisions become easier. Whether a newlywed, a couple planning for retirement or already retired, this timeless classic provides couples with easy-to-use tools that cover everything from credit card management to detailed investment advice to long term care. Together you’ll learn why couples who plan their finances together, stay together! About 29 years ago I acquired my greatest economic asset--and he also happens to be handsome, funny and a great dad. Yes, my greatest economic asset isn't my 401(k) or my IRA or my small but growing portfolio of stocks. It isn't my house. It is the man who chose to ask me to be his wife. I wish I could tell you that he makes tons of money--but he has a very average income, just like I do. It would sound cool on this blog if I told you he engaged in all sorts of side-hustles, but he doesn't. He likes to come home at night and be with the family. I read books about men who handle all the family investments, and do it well--but in case you haven't guessed, that has mainly been my job. Nevertheless, this man is a great economic asset because he has stayed with me and because he shares my goals for the future and we have compatible spending styles. Smart Couples Finish Rich is a book that encourages couples to see themselves as a financial team and to work together to formulate goals for that team--which isn't just good financial planning but good marital planning. Using stories about his clients, David Bach encourages couples to not only dream but to share those dreams with their partners so they don't end up on the cusp of retirement with one partner preparing to buy a beach house across the country while another dreams of more time with the nearby grandchildren. Bach also gives advice about how much to save and where most couples can find the money to save--yup, another one who advocates putting latte money in the bank. Bach also discusses insurance and investment options. He writes in an easy conversational style and takes what can be a complicated subject and makes it easy to understand. Bach makes it clear that family finances aren't his job or her job, but rather that they should be a cooperative effort and that even if one partner handles most of the work, the other should have a good idea of what they have and where it is. 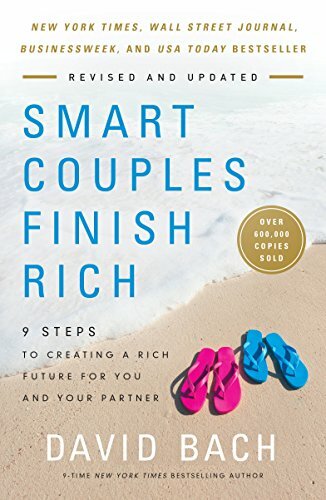 I found Smart Couples Finish Rich to be an interesting read with good financial and marital advice and I think it would make a great wedding gift--it is certainly more practical than some in the back of my closet. The beginning of the year is a common time to set goals, so I shared mine a year ago. Now I'll talk about how things went. This didn't happen. We had to withdraw about $2,000 to pay tuition and fees this year. However, we also started putting away money every month to cover the bill when it comes due in June, so hopefully this year will be better than last. I started the year off with a bang, scoring a couple of sponsored posts and garnering clicks on AdSense, but things slowed down thereafter and I haven't pushed it. Not sure how much of a 2018 goal this will be. I've been buying stock regularly, primarily with money I've been withdrawing from Kickfurther. My Robinhood portfolio is over $900.00. Both my regular clients decided not to maintain a blog anymore. I've taken a few glances through Upwork but the reality is that I can find a lot more interesting ways to spend my evenings than writing 500 words about some product for $10. Yes, it adds up, but I have more than enough work at my office and they pay much more than $10 per hour. We've sort of met this goal. We deposited over $4,000 in each IRA; unfortunately the money came from Prosper and Lending Club primarily. Only a small amount was newly saved and it didn't total as much as we withdrew to pay tuition and other bills. Total fail; but on the other hand, who wants to live like they are broke when they aren't? We are working on this. My job is requiring me to use up accumulated sick leave and vacation last year and this year, which means I spent three weeks last summer pulling wallpaper and painting my house. It looks nice and while the paint did cost several hundred dollars, there are few renovations that give you so much bang for the buck. We still have paneling in our den that needs to be replaced, and I still need new flooring throughout the house. So, How Was the Year? Overall, not bad. I'm a paralegal and if I get involved in a big trial, it means a big overtime check. We didn't have any of those this year, so my income was down. My husband's seems to be picking up a little. My older daughter has graduated from college so her tuition bills are done, and she is taking on more and more of her own bills. We have high school bills built into our monthly spending via a special savings account. Big expenses for the year were my teeth, a medical incident for me, the house paint, a trip to Universal Studios and a new piece of furniture for our foyer. We also starting paying for me and my youngest to visit New York City with the Girl Scouts this summer. On the plus side, neither my husband nor I had car repair bills beyond normal maintenance. The stock market has made us a good bit more wealthy this year and we can see that retirement date approaching. Two people with whom I work closely are retiring soon; I'm going to miss them. Seems hard to believe that it will be me in the not-too-distant future. Could we have saved more? Sure. Do I regret not saving more? Maybe a little, but not enough to substantially change my behavior. All the calculators we run say we are on track, and there is little point to living life like I'm poor now so I can die rich. Recently we got together with a bunch of old friends. We all got married about the same time; we all had our (older) kids about the same time, and now most of us are becoming empty nesters. We were all pushing 30 (or over) when we married, so it isn't surprising that we are all starting to contemplate retirement. We all have friends our age who are retired. When we talk about saving for retirement, the goal isn't quite so abstract anymore. My college graduate is still looking for a fulltime job but her mean mom has started to make her pay rent and for her phone and Netflix, so its a little less outgo here. At this point we own her car but starting with the next payment, the insurance bill is hers. She has two part time jobs and is considering moving out in the not-to-distant future. I'll miss having her around, but it's time. My husband and I have Roth IRAs and regular IRAs, and a taxable account. 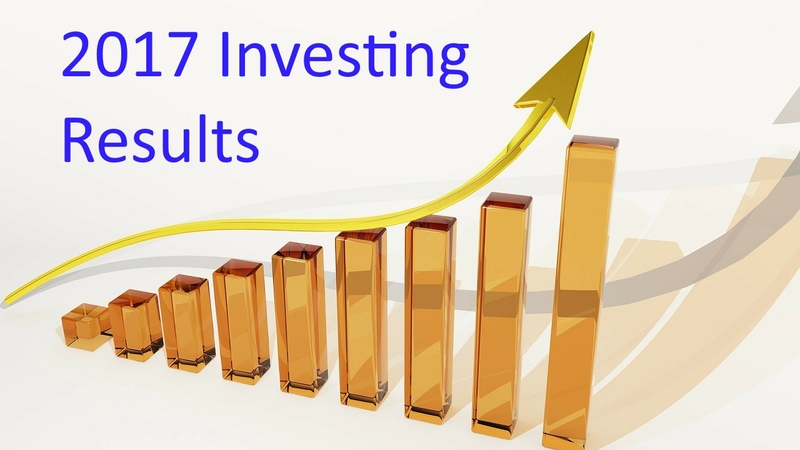 We deposited money in each Roth IRA this quarter and the money was taken from Lending Club and Prosper. 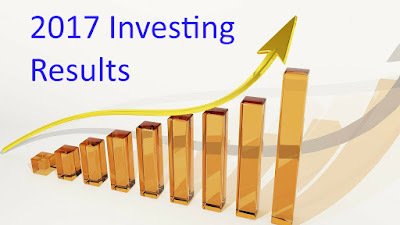 These accounts consist of a variety of mutual funds purchased for us by our ex-financial advisor, along with Vanguard's International Bond Index Fund, Total Stock Market Index Fund, 500 Index Fund, Total Bond Market Index Fund, Dividend Appreciation Fund (new this quarter) and REIT Index Fund. In the last year, our rate of return has been 14.4% overall. My 401k has a year to date return of 19.78%. It is invested in Janus Triton, Oppenheimer Int'L Small Mid Co A, MFS Government Securities Fund-A , Pioneer Fundamental Growth Fd-A, and Delaware US Growth Fund-A. My firm contributes 5% of my salary, and I contribute 6%. Dividends this year totalled about two weeks' pay. The initial investment in this account was $7,000. It began the quarter at $8,850.43 and ended the quarter at $9,268.55. This quarter the account has paid $34.32 in dividends. I have invested in "Motifs" or baskets of stock with a variety of themes including dividend payers, things I like and online gaming. I had been withdrawing my dividend payments and investing them via a no-commission broker, but Motif has changed their fee policy such that if you have less than $10,000 and do not have any commissions in a given six month period, they charge you a $10 fee. To avoid that, I have started accumulating my dividend payments and last quarter I purchased another Motif--this one contains shares of a variety of REITs. My plan is to contribute to the account until it reaches $10,000. The market is helping. I was curious about whether I would have been better off putting this money in an index fund rather than in Motif. For each motif, Motif tells you how much the S&P has gone up since you bought the motif, and how much that motif has gone up. I did the math, and I'm about $50 better off, based on share appreciation alone. Dividends aren't included. While my returns have been steadily dropping for months, accounting for expected defaults, Lending Club estimates my return since I began the account at about 4.58% whereas three months ago I wrote that it was 4.53%. During 2017, my interest was $2848.71 and the amount lost to defaults was $2827.33. Needless to say I'm not a happy camper. My returns here have dropped as well. Three months ago my annualized net returns were 5.41%, and my "seasoned" returns--the returns on notes that are more than ten months old were 4.82%. Those figures have dropped to 5.09% and 4.39%, and while the first few months of the year had positive returns, the last few have been negative. As I receive payments from Prosper, they are going to our Roth IRAs. At the beginning of the quarter I owned shares of AT&T, Visa, CVS, Lending Club Hormel and Hanesbrands. During the quarter I bought Qualcomm, Ford, Mattel, Cardinal Healthcare, Omega Healthcare Investors, Ascena Retail Group, Macquarie Infrastructure and Pfizer. I read about most of these companies on Daily Trade Alert. or other blogs. Basically, if I have money and the article makes sense, I'm likely to buy a share if recommended. I know this is not enough research on which to base a major purchasing decision, which is why I buy a share or two. Instead of buying shoes I don't need, I buy stocks I don't need, and if I lose them all, well, right now I'm out about $800--but since I have stop loss orders for most of my shares, I should be okay. So far, I'm doing alright though. AT&T: 2 shares purchased at $37.62. Current price $38.98. Collected $3.92 in dividends in 2017. No stop loss on this one; I bought it for the dividends. Lending Club: 1 share purchased at $5.51. Current price $4.11. No dividends. No stop loss. Visa: 2 shares purchased at $78.00. Current price $114.00. $1.38 in dividends in 2017. I have a stop loss order placed at $100.00. Hormel: 3 shares purchased at 33.91. Current price $36.39. Purchased June 21. $1.02 in dividends since then. I have a stoploss set at $34.00. Hanesbrands: 2 shares purchased at $21.93 on January 13. Current price $20.91, Stop loss set at $18.00. $1.20 in dividends in 2017. CVS: 1 share purchased July 3 for $80.77. Current value $72.50. $1.00 in dividends in 2017. No stop loss. Qualcomm: 1 share purchased October 9 for $52.68. Current price: $64.01. I have a stop loss sell order in at $60.00. Mattel: 1 share purchased October 30 for $13.87. Current price $15.35. $15.00 stop loss. Cardinal Healthcare. 1 share purchased November 27 for $56.42. Current value$61.27. Stop Loss at $58.00. Omega Healthcare Investors. 1 share purchased December 6 for $26.75. Current value $27.47. Stoploss at $26.00. Ascena Retail Group. 3 shares purchased December 11 for $2.00. Current value $2.40. Stop Loss at $2.03. Macquarie Infrastructure. 1 share purchased December 26 for $64.18. Current value $64.20. Stop loss at $62.00. Pfizer. 1 share purchased December 26 for $36.17, Current value $36.28. Stop loss at $34.00. Robinhood is an online broker that uses phone apps only, no webpage. They charge no commission and allow you to place limit or market orders. They also allow you to initiate bank transfers and then invest the money immediately--you do not have to wait for the transfer to complete. You do have to buy whole shares. This is an online broker for whom I wrote a sponsored post. I invested $100 in Johnson & Johnson through them. They charge $0.99 per trade, so even though they sell fractional shares, I don't recommend investing less than $100.00 per trade. I plan to keep the account and use it when I want to buy shares of stock that are substantially over $100, since my investments in individual stocks are as much toys as investments and I don't plan to put too many dollars in any one stock. Stockpile had a promotion last quarter where they were giving away $5.00 worth of Apple stock so I got mine. At the end of the year this account was worth $112.56. As compared to the beginning of the year, we are over a year's pay richer, but most of that is stock market gains, not savings. We did not have to pull any money out of our savings this quarter, but we haven't been able to replace any we withdrew earlier this year. However, the big bills for the year have been paid; the next big irregular bill will be the car insurance three months from now and we are saving for it and the other big irregular bills. One thing I found interesting is that using a dividend rate of about 2% (more or less what we got on our Vanguard accounts) our dividends and expected Social Security would cover one of our paychecks. Since leaving a substantial estate to help care for our autistic son is one of our financial goals, that's good to know.